Even though English has been the dominant language in Eurovision since the language rule was revoked in 1999, there are always some countries that choose to sing in their own language. And this year’s contest is no exception as we have 11 countries that are representing their own mother tongues on stage. In this poll we are including bilingual songs where the majority of the song is in a non-English language. However we are excluding songs with just a few sentences in other languages, like Denmark’s “Love Is Forever” and Croatia’s “The Dream”, as the vast majority of the song is in English. So, as you brush up on your Albanian, French, Georgian, Icelandic, Hungarian and more, we want you to name your favourite non-English song of 2019. You can listen to all of the songs below and then vote for your favourite. You can vote for as many songs as you like but remember that you can only vote once. Be sure to tick the box next to each act you want to support before pressing submit. This will be the 6th time that Albania sings entirely in Albanian. The title “Ktheju tokës” translates as “Restore the Earth”. The lyrics tackle the subject of Albanian emigration and the song may resonate with immigrants around the world. France still hasn’t had a song sung entirely in English, but this will be the 7th time their entry’s lyrics are a mix of French and English. The title “Roi” translates as “King”. This is only the second time Georgia has sent a song entirely in Georgian, the first being last year. The title “Sul tsin iare” translates as “Keep on Going”. Will “Sul tsin iare” become the first entirely Georgian song to make the Eurovision grand final? This is the third year in a row the song from Hungary will be sung in Hungarian, and the fifth time since 2005. The title “Az én ápam” translates to “My Father”. Can Joci achieve another Top 10 result? This is only the second time since 1999 that Iceland is sending a song in Icelandic. The title “Hatrið mun sigra” translates as “Hate Will Prevail”. Will hate take the trophy in Tel Aviv? Italy has always sung in Italian, with a few songs including parts in English and one in Neopolitan. However, this will be the first time the Italian song includes parts in Arabic. The title “Soldi” translates as “Money”. Is your money on Italy? Poland has only had three entries since 1999 that were sung entirely in Polish. This year is their 8th entry with parts of the lyrics in Polish. The Polish part of the title “Fire of Love (Pali Się)” translates as “It’s on Fire”. Are you feeling the fuego? Portugal has always sung entirely in Portuguese, with three exceptions where English formed a minor part of the lyrics. The title “Telemóveis” translates as “Mobile Phones”. Are you picking up your phone to vote for Portugal? This is the 9th time Serbia has sent a song in Serbian, but the first time they are mixing Serbian and English in one song. The title “Kruna” translates as “Crown”. Is Nevena your queen? This is the second year in a row Slovenia is sending a song in Slovenian, and the 8th time since 1999. The title “Sebi” can be translated as “Same”. Spain has only had one song entirely in English, but occasionally mix Spanish and English. This year the Spaniards are sticking to their mother tongue. The title “La venda” translates as “The Blindfold”. Agree with you. First listen I’ll get hypnotised and then I realized the uniqueness of this song and the amazing performance of Conan. And now there are more than 40 portuguese artists hasking for Conan Osiris to give up from from Eurovision 2019 as a way to be against Israel… but Conan don’t even care! Italy, Iceland, Slovenia and Albania, i don’t one which one is better, i love them all. Conan Osiris! Love him! And love Portugal too! Wouldn’t mind to go again there next year!!!! Just to clarify, ‘Sebi’ roughly translates to yourself. Can’y wait to see maestro Conan run the world! Wiwibloggs, where is C R O A T I A ? Iceland, I do like, as I was listening to industrial music back in the days – but lacks originality and vision. Sado-maso asthetics as power critique, really? because it was never done before… (yawn). You don’t have a monopoly on good taste. Good music is not a relative thing. Non of this song should be in ESC . They are awful al of them. One of the few polls where it was difficult to choose as I like so many of the songs. They are far more imaginative than many of their English language counterparts. For me its Italy, Iceland, Slovenia, Poland, Portugal, Spain, I like so many. I’ll be happy if the winner is amongst them. Hungary. It’s very underrated. It should be far above Slovenia and Portugal. So, overall these seem to be doing a lot better than the English songs. There might be a reason for that. My choices were Iceland, Slovenia, Portugal and Italy…all of them are on my Top 5 along with Netherlands! Albania, Portugal, Iceland and Slovenia are my favorites. lol, almost the same, but i love Romania even more! In my top10 i have: Albania, Iceland, Italy, Poland, Portugal and Spain. This is a very strong poll! Italy, Spain, Slovenia and Serbia are my favourites. Italy, Spain, Albania, Hungary, Portugal and Slovenia are in my top 10 . I normally appreciate cultural diversity over generic songs and I vote accordingly. So good luck to all of you! Croatia’s song has some parts in croatian. 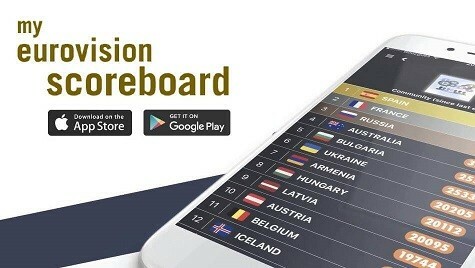 Why Croatia is not in the pool? Then Denmark should be in there too. My top 3 are Iceland, Poland and Hungary. Before saying stupidities have you checked his last performances ? No because you are just here to be hateful it seems…..proved by your poor comment. Then check the facts before talking……classic free hater. You need to learn how to be clever maybe…..
No need to see his last performances. He is bad singer and only won because of his teen fandom… Will do very bad. Hope all this hatred can at least make you feel better. Learning to respect artists whoever they are would be a good idea. I like the first 9, and I actually think Georgia is ok. Serbia is not for me, sorry. Italy, Slovenia and Portugal – they are also all in my Top 5. Poland and Spain are in my Top 10. But all the other non-English songs are also really good this year, none of them is at the bottom. Yay for languages and diversity! Basically thats my top3 of all songs! Poland, Spain, and Italy for me. Do the three lines in Turkish let San Marino count? ?? Turkish is not San Marino’s mother tongue. It’s Serhat’s. 16 including Croatia. The majority of the song is in English, but one third is in Croatian, which is still a representation. Italy, Slovenia and Iceland with miles of distance from the rest. Slovenia, Iceland, Portugal, Poland and Italy..
More songs in mother tongue, less English! Uff… a tough one, since most are really good, but Reykjavik 2020 for me.